I have been really drawn to aquamarine lately and am wearing it as I type this. I love the serene, harmonious and calming energy it offers me and I love the connection to Archangel Raguel. If you are experiencing any wavering of faith, in yourself or in the Divine, ask Archangel Raguel to help you to strengthen this faith and trust. Opportunities are opening up to you and sometimes we shy away from situations that would actually be very beneficial to us, simply due to our fear of the unknown. Now is time to look deeply inside yourself and see what it is that you really want. If you have an aquamarine, now is a great time to wear it, put it in your pocket or under your pillow, or meditate with it. Designing our realities with the Law Of Attraction requires us to know what it is that we are actually striving to create. Journaling can help us to bring what we want into focus, and create it in full colour and detail in our minds. No one else has to see your dreams, this just a tool for you to use to get the clarity you need to proceed. Ask Archangel Raguel to help you keep your thoughts positive as you delve into your desires, bringing them to vivid life in your imagination. If it seems that people or circumstances are in your way at this time, dream anyway, asking the Angels to smooth your way and guide you on your life’s path with grace and ease. Thank you Angels, for helping me to find a solution to this problem which will benefit all those involved in the outcome. Thank you Angels, for helping me feel confidence in my skills and creative gifts. 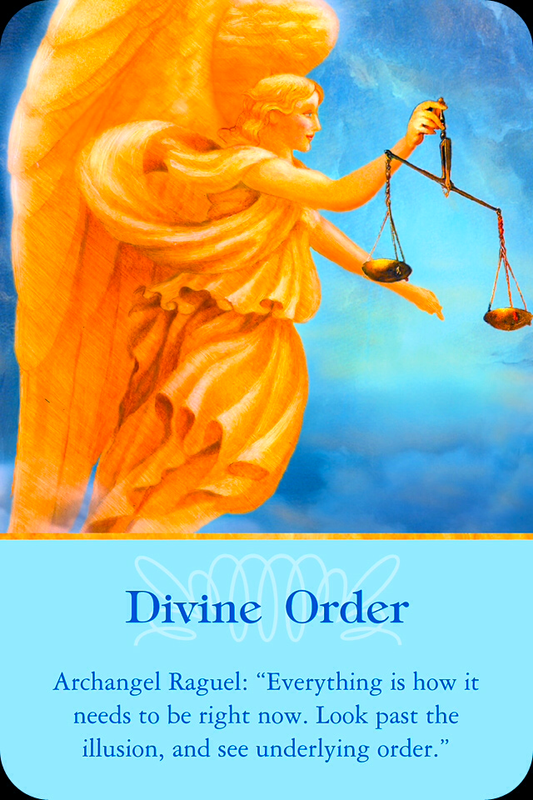 I am fully loved and supported by my angels and guides, and receive clear Divine Guidance. I am happy, healthy and in control of my own reality; I am a magnet to the life that I desire. I am a high vibrational being; I am higher consciousness; I am love.